17 A None No Power Seat 17 A is a standard Economy Class seat that has additional legroom due to the Exit Row, however, this seat has limited recline due to the Exit Row behind. 17 F None No Power Seat 17 F is a standard Economy Class seat that has additional legroom due to the Exit Row, however, this seat has limited recline due to the Exit Row behind. 32 C None No Power Seat 32 C is a standard Economy Class seat, however, the proximity to the lavatory may be bothersome. 32 D None No Power Seat 32 D is a standard Economy Class seat, however, the proximity to the lavatory may be bothersome. 33 A None No Power Seat 33 A is a standard Economy Class seat located in a last row of the aircraft. Seat back recline might be limited due to the wall directly behind. Also, if the seat back in front is reclined, then personal space will be reduced. The proximity to the lavatory and galley area might be bothersome. 33 B None No Power Seat 33 B is a standard Economy Class seat located in a last row of the aircraft. Seat back recline might be limited due to the wall directly behind. Also, if the seat back in front is reclined, then personal space will be reduced. The proximity to the lavatory and galley area might be bothersome. 33 C None No Power Seat 33 C is a standard Economy Class seat located in a last row of the aircraft. Seat back recline might be limited due to the wall directly behind. Also, if the seat back in front is reclined, then personal space will be reduced. The proximity to the lavatory and galley area might be bothersome. 33 D None No Power Seat 33 D is a standard Economy Class seat located in a last row of the aircraft. Seat back recline might be limited due to the wall directly behind. Also, if the seat back in front is reclined, then personal space will be reduced. The proximity to the lavatory and galley area might be bothersome. 33 E None No Power Seat 33 E is a standard Economy Class seat located in a last row of the aircraft. Seat back recline might be limited due to the wall directly behind. Also, if the seat back in front is reclined, then personal space will be reduced. The proximity to the lavatory and galley area might be bothersome. 33 F None No Power Seat 33 F is a standard Economy Class seat located in a last row of the aircraft. Seat back recline might be limited due to the wall directly behind. Also, if the seat back in front is reclined, then personal space will be reduced. The proximity to the lavatory and galley area might be bothersome. 6 B None No Power Seat 6 B is a standard Premium Class seat. Copa Showpass is Copa Airline's new in-flight entertainment system that lets you enjoy movies, TV shows, magazines, and music on your personal devices (smartphones and tablets). 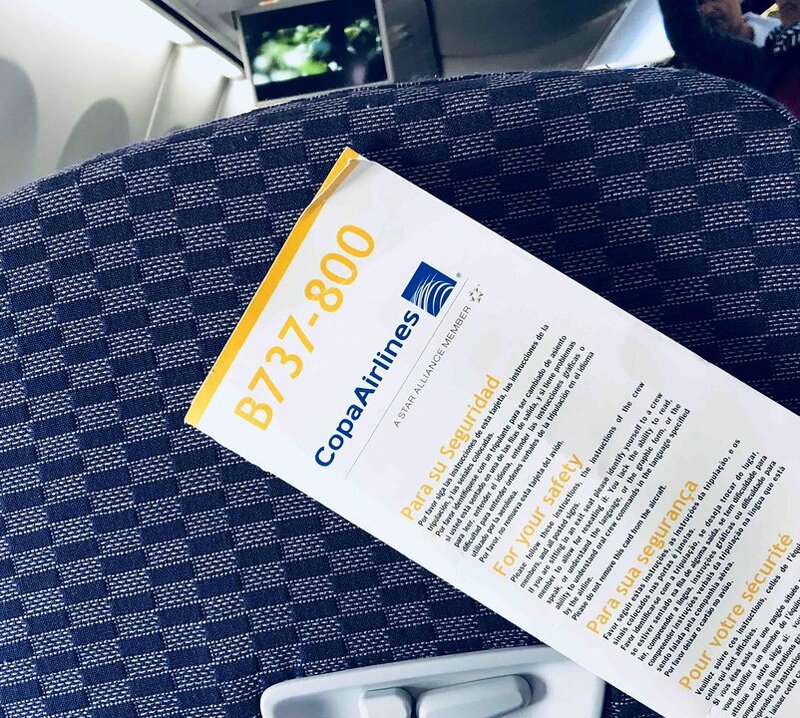 You will be able to access this content through the Copa Airlines app or through the Copa.com website on your mobile devices, once you’re connected to the onboard Wi-Fi network. Copa Airlines provides WiFi on this aircraft. Copa flies the 737-800 in two different configurations. 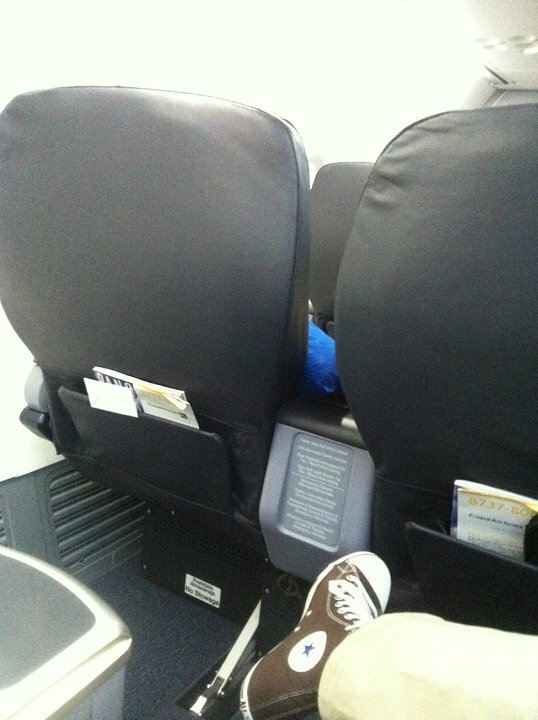 Ample leg room, not flat bed, standard business class and good service. Movie options are decent. Best seat of the economy class. Large legroom and it reclines normaly. Great seat with more than enough leg room. 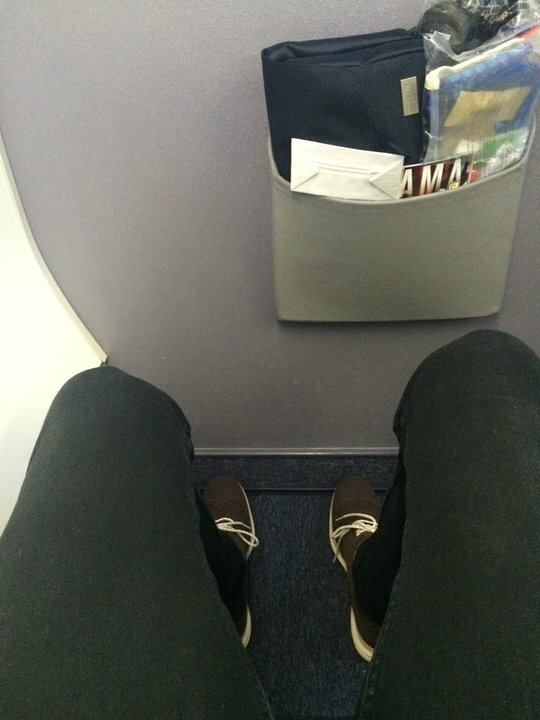 The most leg room I have seen when flying first class. The dinner and lunch was terrific as well as the service. 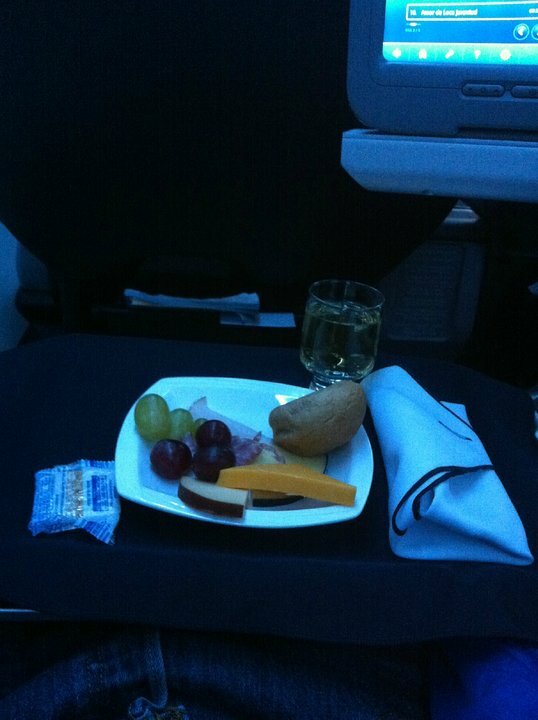 The only complaint is that it took about 2 hours for a Stewardess to serve any type of beverage, especially in first class?? In economy, aisle seats (C and D) have much smaller foot space than all other seats. The configuration of the plane is terrible. Little space for legs, no multimidia or any kind of inlet to plug any device. Small restrooms also. Ah, there was no blanquets for all passengers. COPA offers the In-Flight Entertainement (IFE) system only on their newer B737. I flew (4 times) an older models. A 6 hour long flight without an IFE is very long... As for the seat, well, it's a B737, which means shoulder room is very limited. Fortunately, for 3 of my 4 flights with COPA, the seat next to me was empty, which made the flying experience acceptable. Food, drinks, service, everything else is standard. Something worth mentioning, even if it does not really relate to the plane comfort : changing plane at Tocumen Airport is really easy and the airport is nice. If only for that reason, flying with COPA is worth it. I'm 6 ft 215 lb and I'm not fat. I hit my legs on the seat in front and my shoulders rub on another passenger. Airlines are getting real stupid. I'd rather drive across the US than ride in their baby seats. Plenty of leg room because it is the emergency exit. The only con is that the seat does not recline, but for a 2 hour flight it was fine. Tight fit, warm air. Not a good seat for this trip. Its a nice seat, and a comfy flight there. Flew this now twice in one month, the new sky interior version and the seats have HORRIFIC legroom. I wanted to deplane. I called on 2 occasions to ask COPA "Does seat 1A and 1B have extra legroom since they are "green" and even COPA said its the best seat on the plane. FAIL! 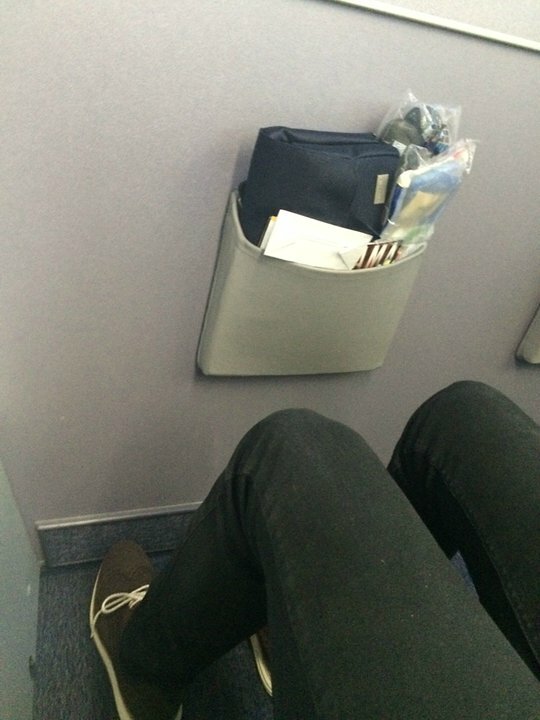 The legroom is horrific. After the 5 hour flight my right knee was in so much pain from twisting it sideways. I have flown this now twice LAX to PTY, means a total of 4 legs and the situation was the same. IT SHOULD BE AVOIDED. I am uploading 4 photos to show you. Great Seat. I'm 6'3 300lbs. Plenty of room both wide and long. Good recline. Enjoy the tv coming out of the armrest I did not think it took away much seat width.